IBM has revealed a string of new channel initiatives and investments as it seeks to build key partner skills and opportunities in the year ahead. 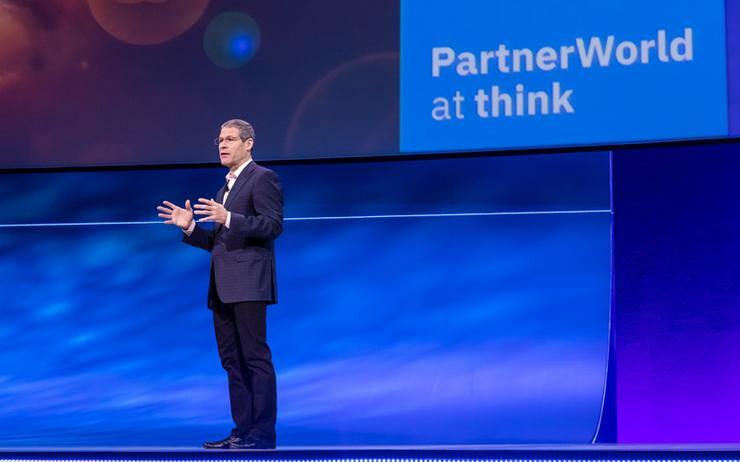 Unveiled during PartnerWorld at Think in San Francisco, Big Blue rolled out new initiatives including its Watson-based collaboration engine called IBM Business Partner Connect; My PartnerWorld; new software deal registration and IBM Power Systems, LinuxONE and Z ‘In It to Win It’ incentives. On top of this, the vendor also detailed how it was further investing in partner skills and enablement, as well as driving growth opportunities in market segments such as security and hybrid cloud. Specifically, IBM Business Partner Connect focuses on helping partners tap into the global ecosystem to collaborate on client opportunities, develop new business and bring new solutions to market. Meanwhile, the Watson-based engine will enable partners with complementary capabilities to find each other, get to market faster and sell more together, according to John Teltsch, general manager of partner ecosystem at IBM. My PartnerWorld, set to launch on 15 February, aims to offer a personalised on-boarding and enablement experience, giving partners the chance to manage PartnerWorld tools and shortcuts in one place. This includes My Sales Activity (MySA), the PartnerWorld Console, Co-Marketing Centre and Business Partner Connect platform. Additionally the new software deal registration will offer partners with priority access to special bid pricing in an effort to reduce conflict between technology providers while improving financial outcomes. Teltsch added this was part of the vendor's ongoing transformation efforts, which it kicked off last year, to improve partner experience and profitability, including projects around channel pricing, incentives and streamlined resale authorisation. In April last year, Big Blue, restructured its partner engagement models across the channel. Furthermore, the IBM Power Systems, LinuxONE and Z 'In It to Win It' incentives have now been made available to partners, which also extends the incentive for IBM storage into 2019, along with deploying new demand generation tactics to drive exclusive leads. On top of these new initiatives, the vendor is also launching an ESA co-marketing offering for partners embedding IBM technology, and across third-party marketplaces, in addition to enhancing its digital APIs amid plans to double the number of digital offerings. "We continue to help partners on their journey to SaaS, with more than 400 as-a-service offerings, coupled with new demos, trials and incentives to accelerate growth,” Teltsch said. IBM has also launched SaaS deal registration and P360, which is a tool allowing partners to see their client’s analytics. Delving deeper, IBM also showcased its new sales enablement solution, Seismic@IBM, a tool that features sales kits, plays, presentations, use cases and other assets. The Value Package support bundle is also being expanded into version 2.0, whereby partners can double their IBM cloud credits; provide access to a development sandbox environment; access discount vouchers for select education events and additional subscription discounts. As a result, Teltsch said it was also doubling the number of system channel technical sellers to support partners in the field. Going forward, a new managed services security provider program (MSSP) aims to help partners build security practices and deliver solutions in either an embedded or reseller model. A ‘Know Your IBM’ security sales incentive will serve up reloadable IBM Rewards debit cards to partners who sell new security licenses and SaaS. Teltsch said it has also enabled partners to build ‘Cloud Paks,’ which are enterprise-grade container software packages with guidance and step-by-step instructions for partners to quickly build with open standards that will enable hybrid and multi-cloud deployments. “Built for Kubernetes on the IBM Cloud and IBM Cloud Private, IBM Cloud Paks are designed to accelerate time to production and improve readiness at lower cost than containers alone,” he explained. Additionally, a new Cloud Digital Technical Engagement program will supply partners with access to technical assets focused on product demos and tutorials. “These assets provide a deep understanding of product offerings and how they can help clients along their journey to Cloud and AI," Teltsch added. "Our new Seismic@IBM will include a link to this Cloud Digital Technical Engagement program so partners can easily access this important information while preparing for client engagements." According to Teltsch, the new initiatives and investments were a response to the "continuous feedback" from partners and clients. Teltsch revealed that during the past year, partners had doubled their number of specialist and expert competencies across its technology stack. “We’ve also seen significant momentum in the number of partners building their skills and selling solutions in strategic areas like IBM Security, Cloud, IoT and Watson AI, with our second Watson Build Challenge producing more than 500 AI solutions and prototypes that run on the IBM Cloud,” Teltsch said. During its fourth quarter results, Big Blue pointed out that its cloud business, grew 12 per cent to US$19.2 billion in 2018. In addition, the company's cognitive software business, including its artificial intelligence platform Watson, analytics and cyber security services and is its second biggest, reported sales of US$5.46 billion, compared with analysts' expectation of US$5.25 billion.